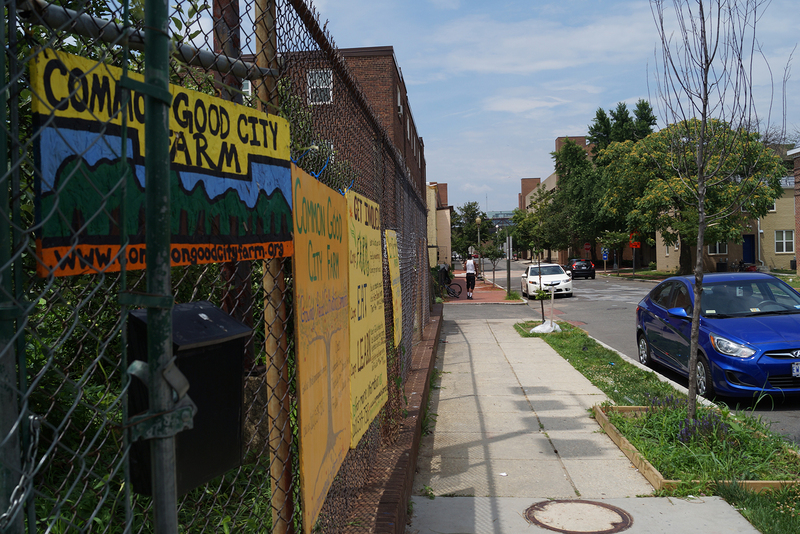 Common Good City Farm produces food for low-income neighborhoods in the District of Columbia. 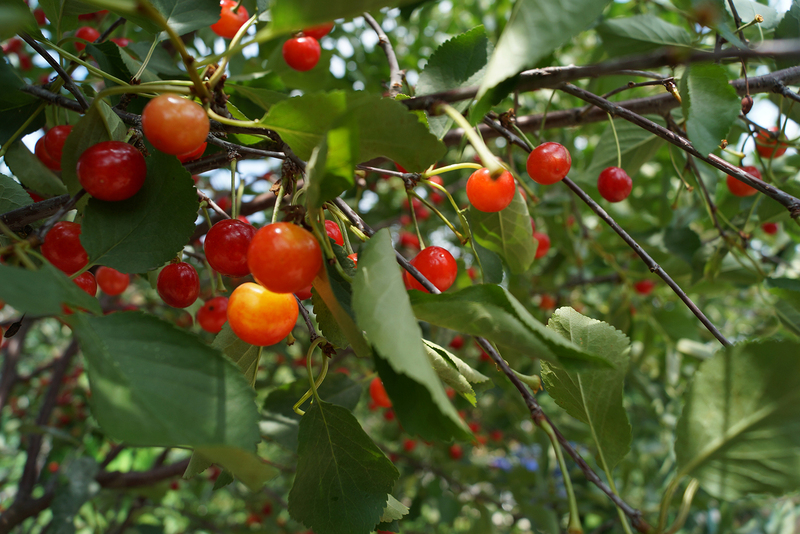 Nearly a decade ago, neighbors living near an abandoned elementary school in LeDroit Park in the District of Columbia described the area as a “thriving, open-air crack market.” But today, the once dangerous lot is flourishing with leafy greens, medicinal herbs and sour cherries. Entrance to Common Good City Farm. “Our community has gentrified rapidly, and that creates some tension, but us being a safe place where people can interact is helping to facilitate conversation,” says Rachael Callahan, executive director of Common Good City Farm. As she walks around the half-acre farm on paths of mulch that cover the old-school baseball field, she proudly points to ripening fig trees and red-veined rhubarb. “Our main goal is food production,” says Callahan, adding that at 5,000 pounds annually, the farm produces the most food for low-income neighborhoods in the District. In 2007, a community task force worked with the District to gain access to the land and transform it into the vibrant farm that attracts about 500 volunteers each season. The nation’s capitol isn’t the only city lacking food security. More than 2.3 million people live in food deserts, or urban areas that do not have access to fresh produce, according to the U.S. Department of Agriculture. This issue contributes to poor diet, obesity and illnesses like diabetes. 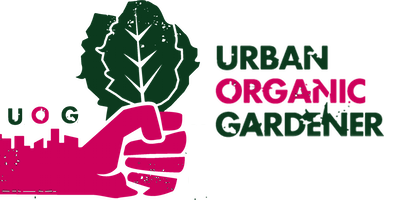 Urban agriculture initiatives – producing food in a community for the community – are one solution working to relieve these problems and increase healthy living one garden at a time. Common Good City Farm is one of thousands in the country to join the growing urban farming movement.​ ​With the help of financial incentives from state governments, urban farms have sprouted up from coast to coast, gaining support in major cities such as Chicago, Detroit and Los Angeles. 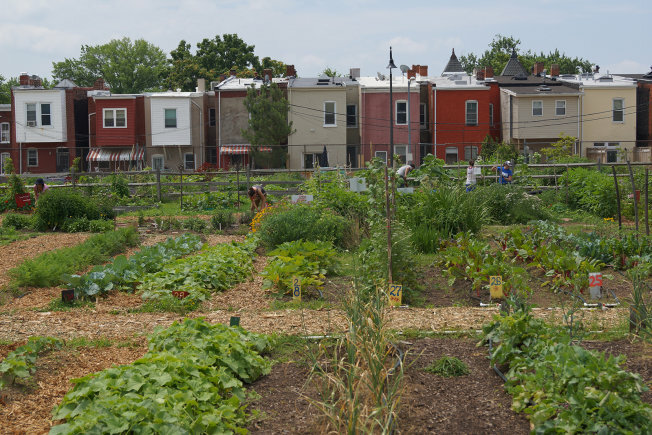 From 2007 to 2013, 13 states and the District of Columbia passed legislation to authorize zoning for urban farms and create councils that promote local food economies, according to the National Conference of State Legislatures. ​In 2014, the USDA reported a total of 8,268 farmers markets nationwide, an increase of 76 percent since 2008. That increase was partly due to demand for more local food. The mission of many urban farms, like Common Good City Farm, is to sell their harvested produce at farmers markets to low-income residents​​, Callahan says. As a gardener and researcher of human rights for adequate food and nutrition, Anne Bellows, professor of food studies at Syracuse University, says these ​urban farms play an important role in retaining public health. Cherry tree at Common Good City Farm. In her research ​on the health benefits of urban agriculture, she found that a five- to 10-day lag time between produce transportation and consumption can result in a 30 to 50 percent loss of nutritional value. In other words, instead of buying tomatoes from a supermarket that imports them from hundreds of miles away, Bellows says urban farms provide a local option that give consumers better tasting, more nutritious food. ​Urban farms also offer local education programs that teach community members how to cook vegetables to retain the most nutrients. On many of these farms, like Common Good City Farm, volunteers can earn a free bag of fresh produce every week by spending a few​ hours planting, weeding or harvesting at the farm.